A friend of mine told me the secret of making money at the stock market. “It’s easy”, he said. All I would have to do is to buy a big jar of ants. Then I should observe the ants movement on my kitchen table, while following the stock market. I shall keep the ants which walk in line with the stock market and remove those who don’t. 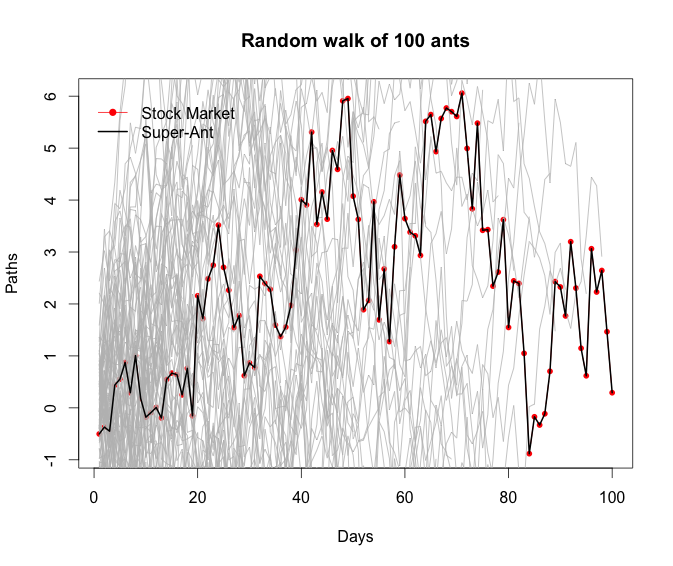 Eventually I would have one ant left that walked all the way in line with the stock market. Bingo! This is the one I have to keep feeding well and observe, as it clearly can predict the movements of the stock market. For more complex problems I recommend to use animals with bigger brains.